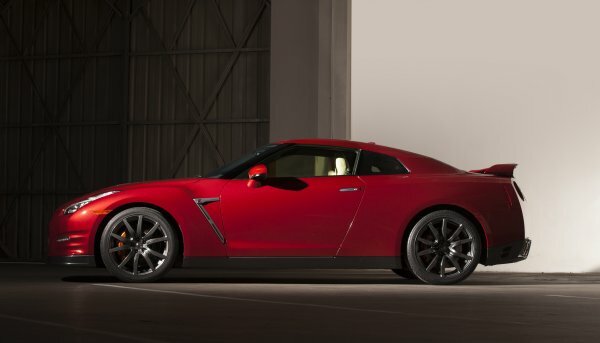 2015 Nissan GT-R reveals itself as more sophisticated, so has it lost its track cred? Say what you want, but when the Nissan GT-R re-hit the scene in 2007 it changed the way people look at Japanese supercars and has been a track contender, even in its stock factory form, since. Now, Nissan is adding "refinement" to the car. Does this destroy its track worthiness? When the new 2015 Nissan GT-R unveiled yesterday morning, it was a breathtaking experience for fans of the supercar. This iconic sports coupe continues Nissan's "Innovation that Excites" mantra for its 2015 model year in the United States, adding a lot of sophistication and high-end accouterments to go with the great new look. But does this mean it's losing its track credibility? Other powerfully awesome sports cars have "gone luxury" and lost their way in the past. As fellow Torque News writer Patrick Rall pointed out, the Dodge Viper SRT took on a lot of interior comfort improvements at the expense of its track capability. Having been in the 2013 Viper SRT V10 on the race track this summer, I can tell you that it's a real pig around the corners. By comparison, the same track on the same day also had the 2013 Nissan GT-R Premium and it was a dream on the GT circuit. That is a side note, however, and I promise to discuss it further at a later date. Back to the new 2015 GT-R. Will all of this added glitz mean that the supercoupe is no longer a powerhouse on the track that just happens to be street legal? According to Nissan, the new GT-R offers: "..smoother ride comfort, more refinement and benchmark fit and finish, in the spirit of a great 'GT,' while delivering breathtaking performance and road-holding. Its 'multi-dimensional performance' means the driver can enjoy the full depth of the GT-R’s capabilities, whether navigating corners of a winding mountain road, cruising on the highway or even in an urban environment." Most of the exterior upgrades to the new GT-R are in its lighting, but there are a few changes to the air dams, fascia, and fender slits. You can see these illustrated in the photo gallery of the car I've posted (click any of the thumbnails above to see it). Some of these lighting changes actually enhance the track experience while the rest are generally benign to it. The new Adaptive Front Lighting System, in particular, adjusts the angle of the headlights according to the car's speed, meaning those running at high speeds in low-light track conditions will have better visibility. Always a good thing. Another cool addition, which doesn't change track cred, is the new lighting fire-up to go with the engine's turnover, throwing the lights into the grumbling mix as the GT-R roars to life. That's awesome. The rest of the changes, and the ones to be most concerned about, are inside the 2015 GT-R. These include a lot of added comfort items and luxury options like new leather seating and trim. These add weight to the car, which reduces its track capability. Many track runners are not fans of leather interiors either, since they are not always as "grippy" for the driver in maneuvers. The good news is that many of the enhancements to the new GT-R are actually subtle improvements to its handling characteristics. A long list of chassis improvements are given by Nissan in the press release regarding the 2015 GT-R. Fine tuning for the suspension, likely learned from the new NISMO package, was done as was superior vibration control through dampening and better tires. Those tires are Dunlop SP Sport Maxx GT 600 DSST CTT rubber, some of the best in the business, riding on the beautiful 20-inch wheels the GT-R sports. Braking and steering have also been fine-tuned. The steering changes are worthy of note, however, because they include comfort level changes that could affect track performance, but given the attention Nissan gave the subject in the release, it's not likely they're willing to compromise that. So is the 2015 GT-R still a track machine? The changes may have reduced its performance metrics some, but it's doubtful. Nissan was very careful to treat the subject of performance with a lot of attention and respect in their announcement for the new GT-R. The bottom line is, we won't know until it debuts in Japan on December 2 and comes to the U.S. next year. What we do know is that this hot car just keeps getting better. Can't wait. You?